guests were treated to hot chocolate spiked with a splash of peppermint schnapps. Now swirl that with a candy cane! 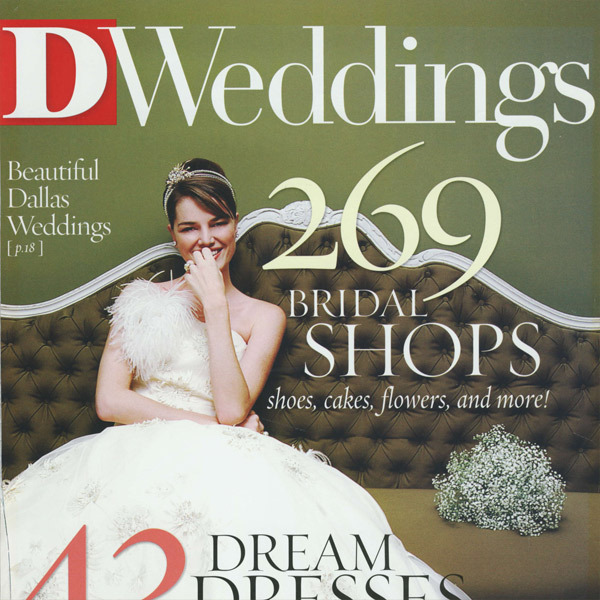 DWeddings featured the fun wedding celebration of Event Studio clients, Britni Pearson and Lance Canon. They chose the Westin Stonebriar Resort in Frisco, TX, as the location of the outdoor ceremony and ballroom reception. This wedding was particularly fun because Britni’s father was former Dallas Cowboy, Drew Pearson, and the groom was an avid Philadelphia Eagles fan. Our graphic artist designed a special monogram for Lance and Britni and we carried it throughout the celebration in many of the details: cake, gobo light, invitations, and ceremony programs. The couple was afraid the red color they chose would make their event look like Christmas but the desired overall feel was accomplished in style. The elegant red color Britni chose was showcased in the bridesmaids’ dresses, groomsmen’s attire, flowers and specialty linens. "You were a delight to work with and we appreciate your organizational skills, patience and focus! "